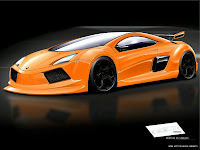 Another new year another new car list, and one of the most intruiging new supercars that I'm waiting for is made by none other than the Lamborghini, this automaker is dedicated to introduce a new model every year, there is the Reventon Coupe then the Reventon Roadster and next year there is the Jota then after that is the Lamborghini Urus which is the one I'm intruiged to see. So the informations that I gather for the Lamborghini Urus might still not be final, even the designs aren't certain yet but one thing's for sure, the objective of this supercar Lamborghini Urus is to be the Ferrari FX70 Killer. So how will they do it? Lamborghini Urus will have a modified version of Jota's chassis which would be lighter, Urus upgrades everything such as the body of Urus will be made solely out of carbon fiber and it will come with a active aerodynamic feature that will enhance its performance even more, plus the re-worked Jota 6.0 liter V12 engine will probably reach a powerful 800bhp and could probably perform an acceleration of 0 to 100 km/h in 3 seconds. But changes might still take place within this few years because we'll not be able to confirm anything until at least 2011, Lamborghini Urus might be release on 2012.